Calling all foodies, especially those with a sweet tooth! 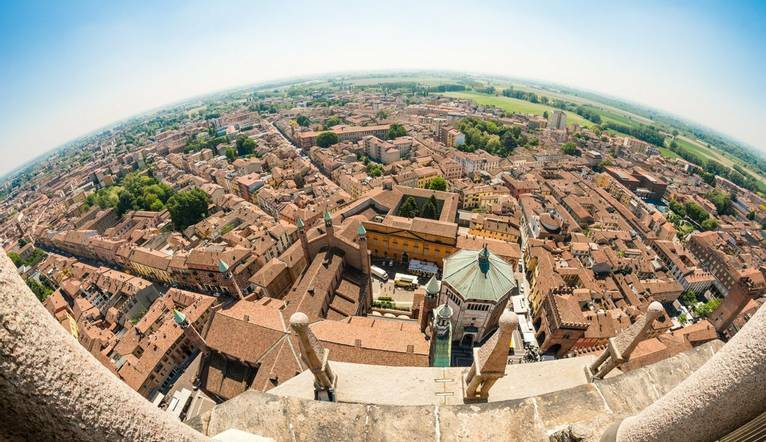 Our indulgent Italian break to Cremona is timed to coincide with the annual Nougat festival, inviting you to experience this charming city at its best. 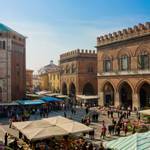 Eat, drink and explore, and watch as the streets and squares of Cremona are brought to life. Welcome to fabulous Italy! After arriving at Milan Airport, we’ll proceed through immigration and collect our luggage before heading to our hotel in Cremona for a Solos welcome drink and dinner. Today we will go on a half day guided visit of the heart of Cremona. Cremona is a small, pretty and well-kept city in the Lombardia region of Northern Italy, and is most famous for its production of high quality violins. It has a picturesque historic centre with most sights clustered around the main square: the Piazza del Comune. Our visit coincides with the famous Cremona Nougat festival, the sweetest event of the year. 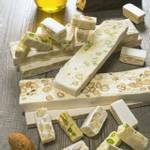 The festival is packed full of shows, cooking demonstrations, tastings, live music, historical parades and meetings, where the focus will be on more than 150 manufacturers of nougat from Italy and around the world. The scent of honey and toasted almonds is irresistible! Don’t leave without trying the nougat and torrone – a major holiday dessert that originates in Cremona. Today is free for you to spend however you wish. 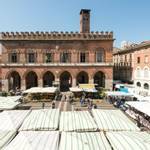 Relax at the hotel or explore the Cremona Nougat Festival some more. After breakfast we’ll transfer to the airport for our return flight home. Our hotel is located at the entrance of the city, just 900 yards from the city centre. Cremona train station is 0.9 miles from the hotel, while the Violin Museum is 0.7 miles away. Our hotel provides a buffet-style continental breakfast daily. You can also enjoy a delicious pizza at the Pizzeria on the ground floor, where a bar is also available. Modern rooms are decorated with contemporary furnishings. Each has air conditioning with a modern heating pump, a TV, minibar and free broadband WiFi. Some rooms feature views of the Torrazzo tower of the cathedral. All bookings featuring flights with British Airways are part of a group allocation which unfortunately means you will be unable to manage your reservation directly with BA online; The following actions can only be carried out on check in at the airport. Baggage Extras eg, Golf Bags, Ski Carriage. The transfer time from Milan Airport to your hotel in Cremona is approximately 1 hour and 10 minutes, depending on the traffic. We suggest a Group Collection to cover guides, transfer drivers, and hotel staff of minimum £15.00 per person. Your Tour Leader will collect this on your behalf and distribute it accordingly, thus relieving you of the burden of who, when and how much to tip. The tipping of housekeeping will be left to your individual discretion (a small amount left in your room on departure should cover this and would be much appreciated). As is customary, ‘the hat’ will be passed around for the driver and guide on all optional excursions. For any meals that are not included in your itinerary, or taxi fares, your Tour Leader can advise of an appropriate % to add on. 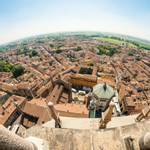 A half day guided visit of the centre of Cremona with an official guide is included in your touring package. Dressing in layers with warm, water/wind-proof casual daytime wear is recommended with comfortable, warm footwear, thick socks, gloves, a hat and sunglasses. If you are not a British citizen and do not hold a British passport, you must make your own enquiries as to the applicable requirements. Alternatively, you can apply for your Visa with our preferred partner the Travel Visa company by selecting the following link; Travel Visa Company.